Awards: Winner of the 2015 Benjamin Franklin Silver Award! "Alan Pritz serves as a knowledgeable and gentle guide for the journey known as the spiritual path. He has captured the essence of Yogananda's wisdom and woven it through his own experience to shine as a luminous beacon, so that all who read this book will benefit." Among primers on meditation, this book is exceptional in how it guides readers who treasure inner growth and are looking for reliable direction on how to achieve it in an authentic and sustainable way. The author, a student of the Indian yogi Paramahansa Yogananda, distills the teachings of many other spiritual traditions and religions, including Christianity, into an interfaith perspective that will appeal to all seekers of the divine. 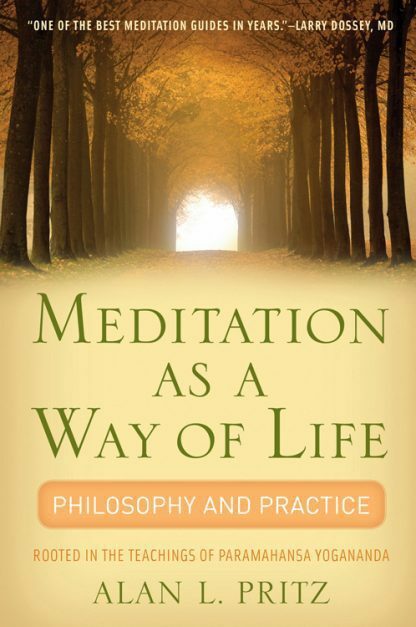 Specific elements include the foundations of spiritual practice; the benefits of energy-building exercises, affirmations, and healthy lifestyle regimens; instructions in mantra practice and inner-sound meditation; techniques for effective prayer; and guidelines to measure inner practice. The book�s accessible narrative and universal themes make it enjoyable to read and life enhancing to apply. Rev. Alan L. Pritz, an interfaith minister and spiritual disciple of Paramahansa Yogananda, began consulting in 1988. He founded Awake-In-Life in 2008 to offer innovative lifestyle management, work/life balance, and performance enhancement seminars for business, healthcare, and educational organizations.